Millions of slum dwellers in Metro Manila live in substandard quality houses which make them vulnerable to the effects of natural disasters. Out of 350 entries from across the globe, our proactive slum retrofitting project was chosen as one of eight winners of OpenIDEO’s Urban Resilience Challenge. In the spring of 2016, Build Change began working on pre-disaster retrofitting, initially targeting families living in urban slums in Metro Manila. Build Change is raising awareness in these communities on the effects of natural disasters to stimulate demand for retrofitting, and developing pre-disaster retrofit guidelines to help families strengthen their existing houses using locally available materials and culturally appropriate technology. In 2018, Build Change commissioned a study to map the market for retrofitting substandard houses and the financing options available. The report finds there is demand for home retrofitting and home retrofit financing, and a market of nearly 15.6 million units, housing more than 69 million people. Microfinance institutions can meet low-income families’ need for home retrofit loans and there are products on the market, but they need to be refined. 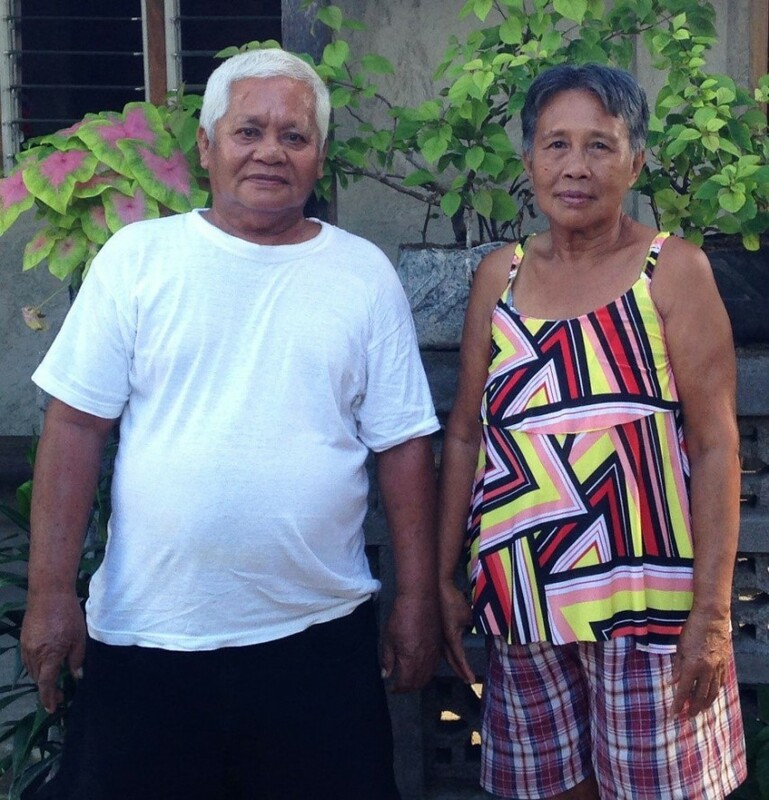 Since Typhoon Yolanda in 2013, communities in the Philippines have been rebuilding their lives. Homeowners are at the core of this process, and Build Change has been working with them to raise awareness, stimulate demand for disaster-resistant housing, provide simplified construction guidelines to make new and existing construction safer, design their new houses, and supervise construction. Immediately after the Bohol earthquake and Typhoon Yolanda (Haiyan) struck in 2013, Build Change engineers developed a post-disaster reconnaissance report which presented an assessment on why houses had collapsed during the disasters. The Guidelines for Building Back Better in Bohol were then developed in partnership with Bohol Shelter Cluster, and distributed to homeowners to assist in their reconstruction. We also trained local engineers and representatives from NGOs in basic engineering principles. The image-based Residential Design and Construction Guidelines for timber and masonry houses were based on the 2010 National Structural Code of the Philippines (NSCP) and approved in March 2016. The guidelines are intended for use by homeowners, builders and local construction professionals to assist in designing and building disaster-resistant houses, and were endorsed by the Department of Public Works and Highways (DPWH). 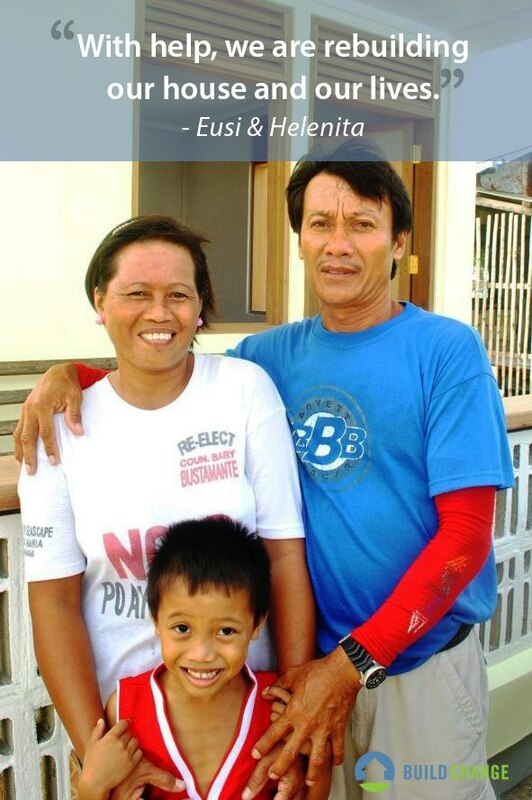 In 2014, in partnership with Cordaid, engineering groundwork was laid to launch a scaled housing program for the survivors of Typhoon Yolanda, and to test the community acceptance of different designs and systems of construction. This project allowed us to understand local construction practices, skills of local builders, and availability of construction materials. 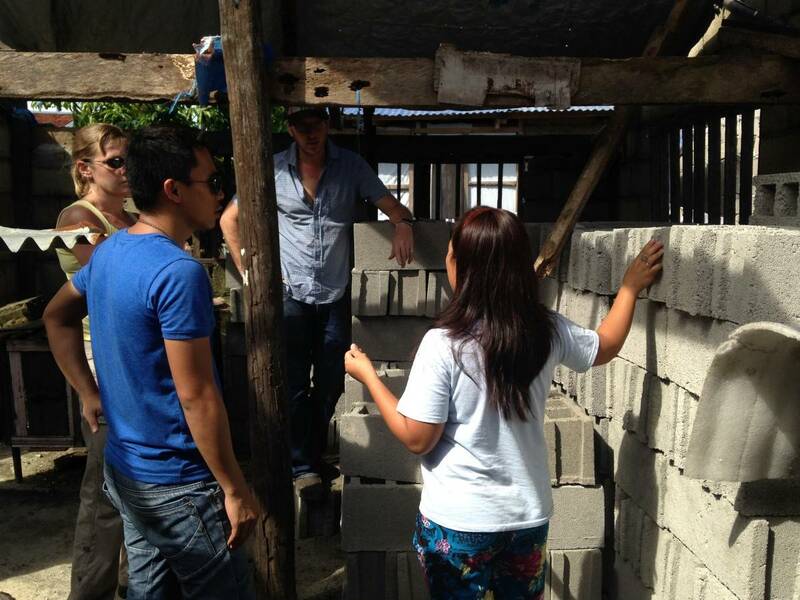 In partnership with Cordaid and using the homeowner-driven approach, 50 families are now in safer confined masonry homes in Sulangan, Eastern Samar. 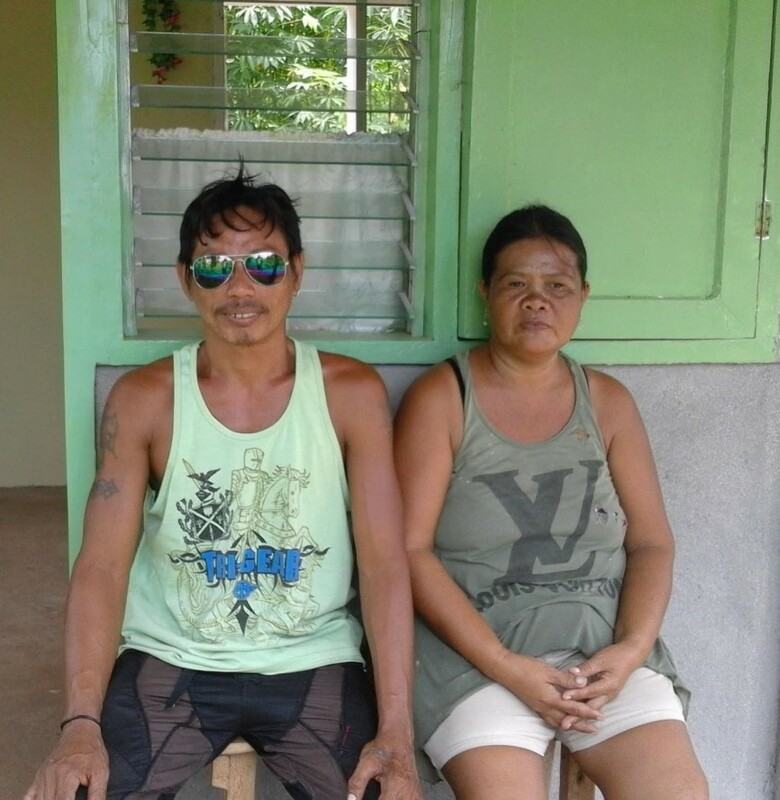 Another 50 families on the small island of Maliwaliw in Eastern Samar are rebuilding after Typhoon Yolanda using a community-driven construction approach, thanks to our partners at Give2Asia and the Guiuan Development Foundation, Inc. (GDFI). The Social Housing Finance Corporation (SHFC) and the National Housing Authority (NHA) have both signed MOUs with Build Change to provide technical assistance for the safe reconstruction, retrofit, or rehabilitation of houses for families benefiting from both the SHFC and NHA programs. This includes training for homeowners, builders, engineers, community groups, and local government units (LGUs) involved in the program. A community-based approach, where community members are engaged in the process of school reconstruction, is at the core of building culturally accepted, safe schools. We are partnering with the Department of Education (DepEd) and local and international organizations to assist them in adopting this approach. In doing so, local capacity to reduce disaster risk is strengthened, and in return fosters a more resilient educational system. Caritas Switzerland and the Ramon Aboitiz Foundation, Inc (RAFI), alongside DepEd are building schools with our support. These projects aim to build 100 disaster-resistant classrooms in 2016, ensuring the safety of approximately 4,500 children. This year, community-based construction management services, train-the-trainer programs, and design reviews will all be scaled to a nationwide program. We are proud to be a part of the World Bank’s Global Program for Safer Schools and aligned with ASEAN’s Safe Schools Initiative. 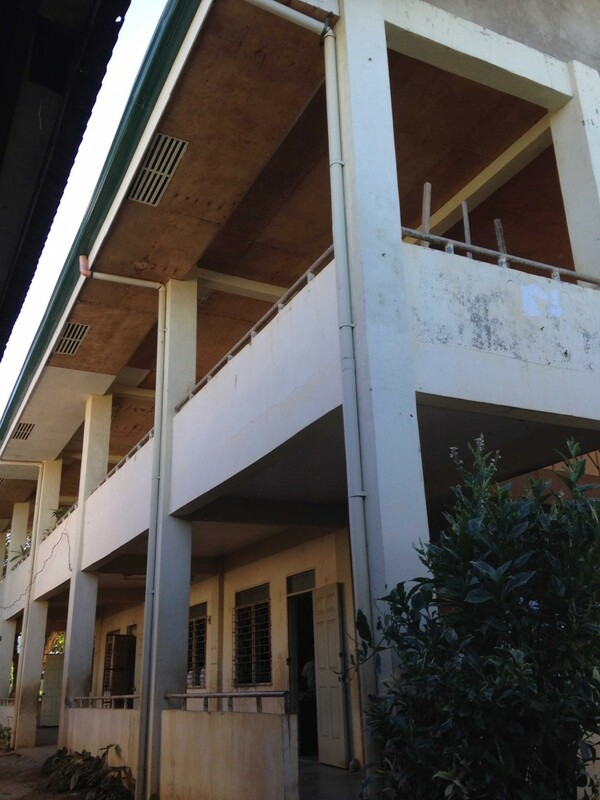 In partnership with the Technical Education and Skills Development Authority (TESDA) and the Eastern Samar State University (ESSU) in Guiuan, a training center was completed to promote long-term development of disaster-resistant construction skills in the province. The center was set up in 2015 through the assistance of Cordaid and is comprised of seven work stations which allow for hands-on instruction and practical experience using a competency-based curriculum for the construction of a one- or two-story disaster-resistant confined masonry houses. Graduates of the training program are eligible for TESDA National Assessment and Certification II in carpentry and masonry. TESDA Eastern Samar formally adopted the curriculum on November 12, 2015. 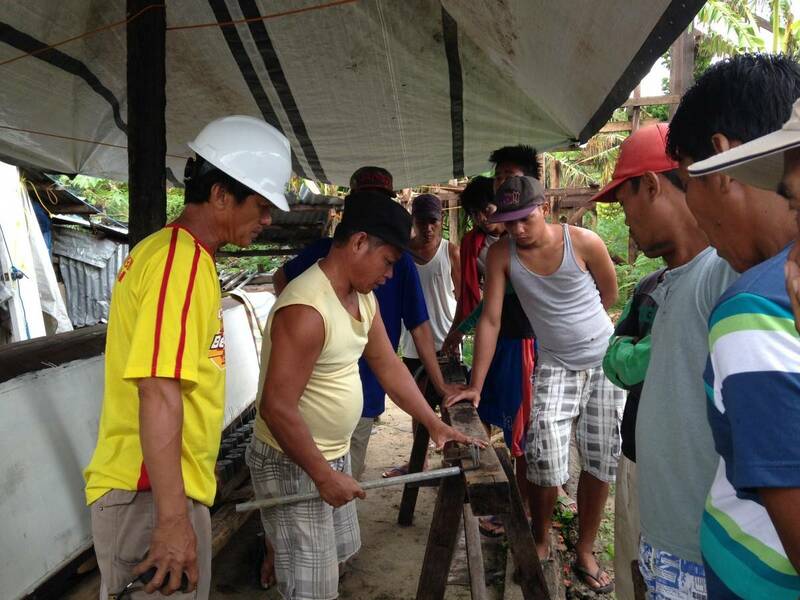 In partnership with Cordaid, six blockmakers in Samar who were identified to supply materials to housing projects implemented by Cordaid and Build Change have been trained. The training supported them in the production of blocks that meet the minimum standards for construction. Homeowners participating in the housing project were required to purchase blocks that meet a minimum standard threshold, thus stimulating demand for good quality materials. Blockmakers also reported a significant increase in their earnings after applying what they learned from the training. The Philippines ranks as the third most disaster-prone country in the world based on the World Risk Index. The country is in an area of high seismic activity, meaning future major earthquakes are likely. It endures approximately 20 typhoons a year and four to six make devastating landfall. Two catastrophic events occurred in the Philippines recently: a 7.1-magnitude earthquake in Bohol on October 15, 2013, and shortly thereafter, Typhoon Yolanda, which pummeled the same areas of the Visayas on November 8, 2013. As a result of these natural disasters, over 1.2 million houses were damaged or destroyed. 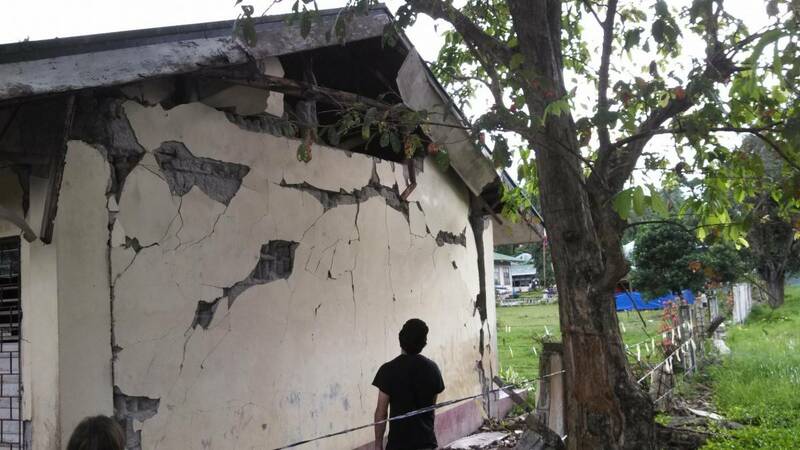 Experts predict that an earthquake of magnitude similar to the 2013 Bohol earthquake will hit densely populated Metro Manila in the next few decades. Build Change is a recipient of the Give2Asia Network Member Badge, which signifies that Build Change has completed Give2Asia’s thorough Due Diligence review and is a trusted partner of Give2Asia. We are one of the eight winners of OpenIDEO’s Urban Resilience Challenge for 2016, out of 350 entries from different countries across the globe. 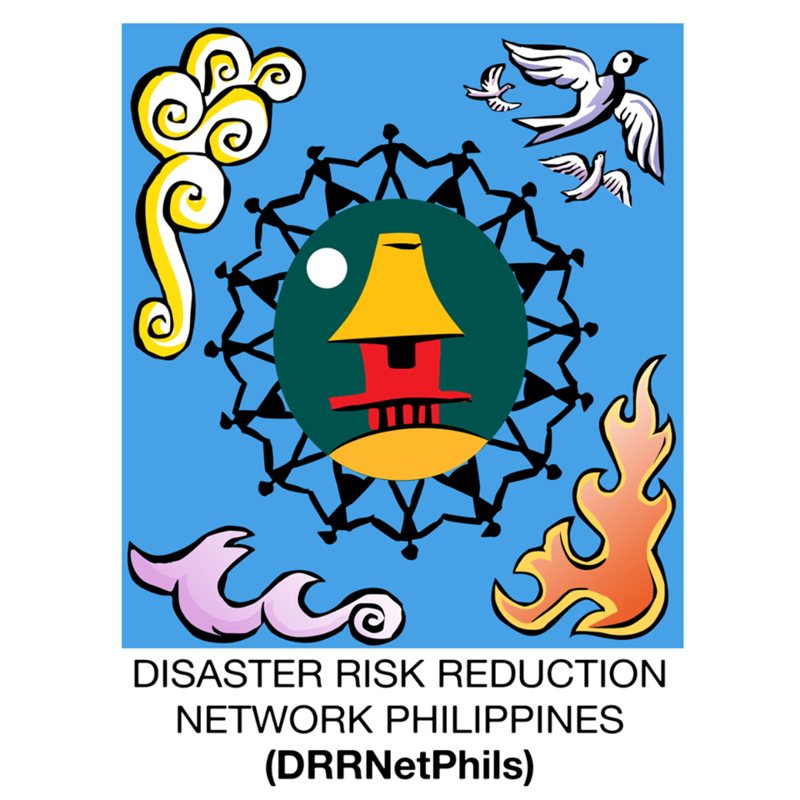 Our team is leading the Resilient Cities workstream for the Philippines through ARISE, UNISDR’s Private Sector Alliance for Disaster Resilient Societies.